Robert Rodriguez's film Machete is a feature-length version of a faux trailer seen in the film Grindhouse. 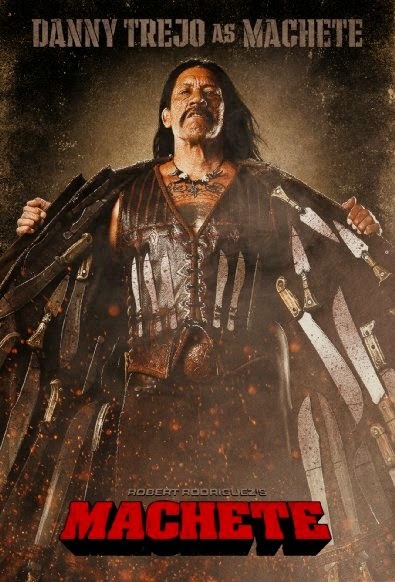 Machete Cortez first appeared in Rodriguez's Spy Kids movies, where he is the uncle of the title characters. In the first film, Machete's wounds are treated by Doc Felix, who previously appeared in Planet Terror. Edgar McGraw appears in a deleted scene; this is likely the same Edgar seen in Kill Bill: Vol. 1 and Death Proof. It has been conjectured that this Edgar and his father Earl are identical cousins of the Earl and Edgar McGraw seen in the From Dusk Till Dawn films. 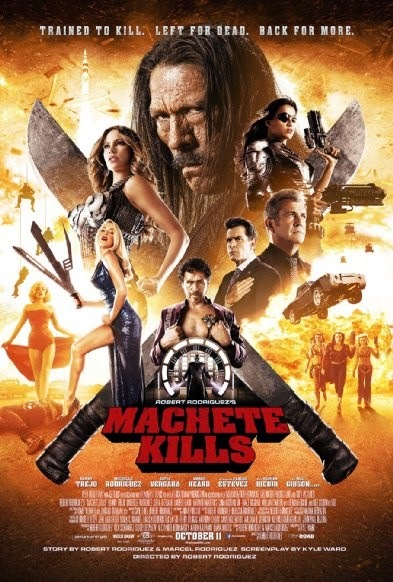 In the sequel, Machete Kills, a Mexican bar sells Cerveza Chango beer, and Desdemona uses the “crotch gun.” Both those items previously appeared in both Desperado and From Dusk Till Dawn.